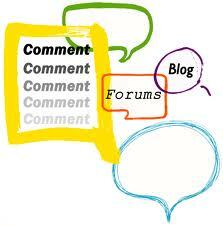 Commenting on other people’s blogs is surely an art that very much under estimated. In the field of SEO you often read and here about how important it is to not only write a lot in your own blog, but also comment other’s blog posts. This in order to, hopefully, spread your links to as many websites as possible. This is all good and true! However, it seems not everyone finds this an easy thing to do. Why? You’d think writing a short (or long if that’s what you’re in to) comment on someone else’s blog post would be simple. For instance “Great post!” or “Good point, but I think …” or even “No, you’re completely wrong, because …”. Keep it simple, or perhaps ellaborate a bit. 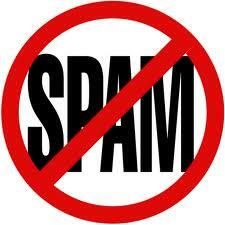 What you should never do (if you want your comment to be published) is to spam (it’s spelled SPAM). This is a NO-NO!!! Unfortunately this is a very common problem. People think it’s ok to just pick a random blog post and use comments to promote their products, websites or whatever spammy message they might want to defile your blog with. Let’s face it, SPAM has become such a big problem that rather than having to deal with it, blog owners choose to remove the possibility to comment all together. This is a very sad development, as comment are often the best if not the only way to find out what the readers think of the stuff you write. I’m sure that many, me included, are sick and tired of having to delete / block comments from their blogs. The question is, what can we do to change this? I would love to get your input on this subject.